This photo was taken probably sometime in the 1950s on the side of the Harbor opposite the ferry terminal. 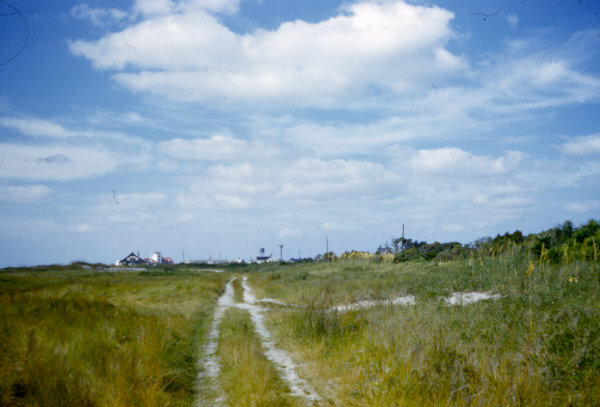 You can see the Coast Guard building which now houses NCCATs Ocracoke campus. To the right of it you can see the top of the main building and the water tower from the naval base that was located on Ocracoke in the 1940s.